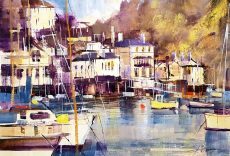 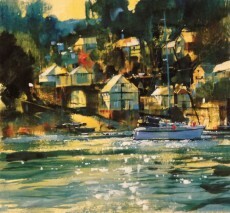 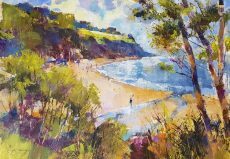 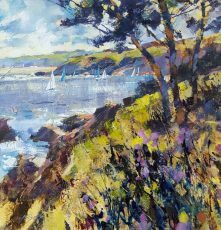 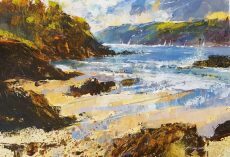 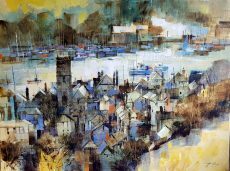 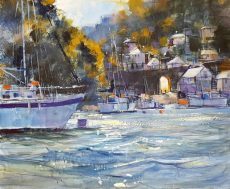 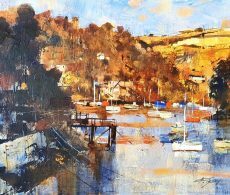 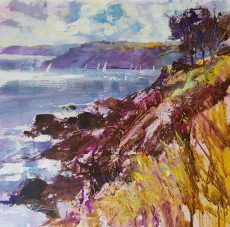 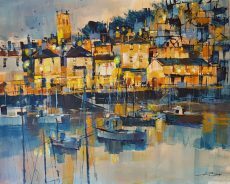 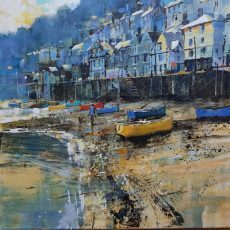 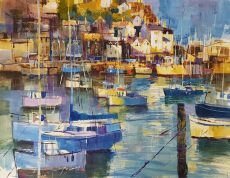 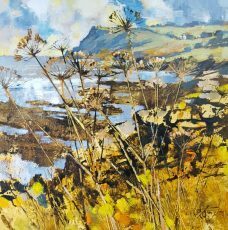 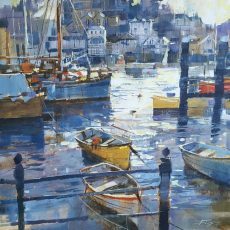 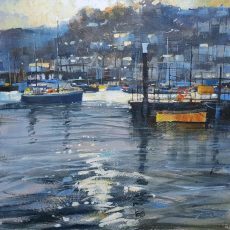 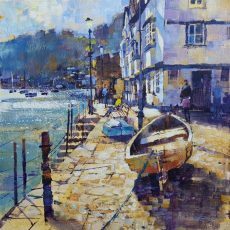 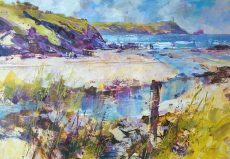 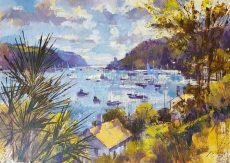 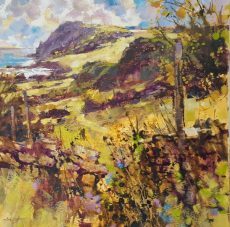 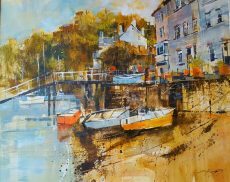 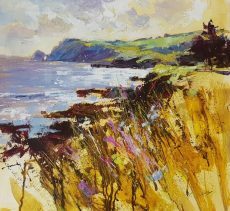 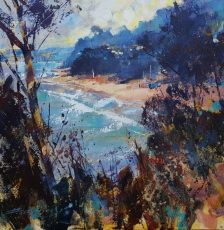 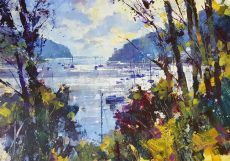 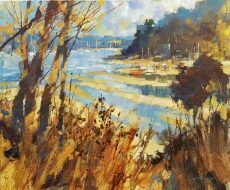 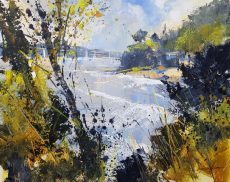 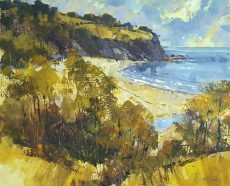 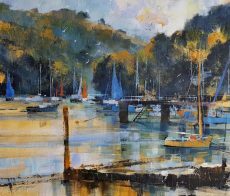 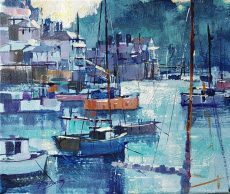 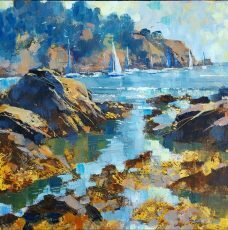 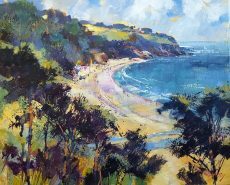 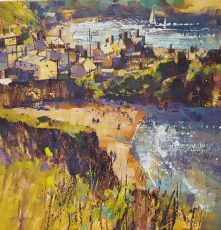 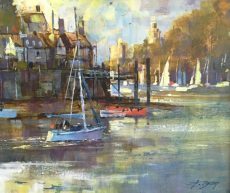 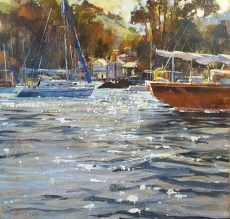 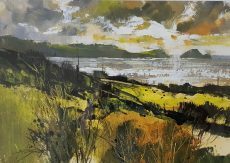 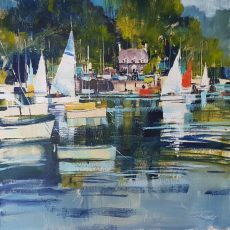 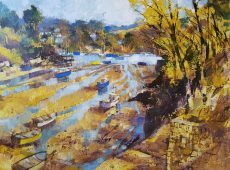 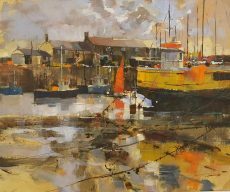 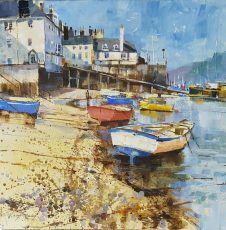 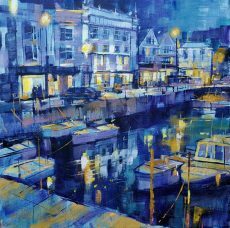 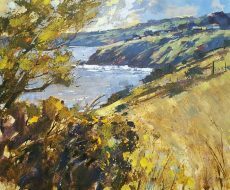 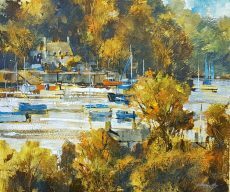 Artist Chris Forsey paints well known locations across the south west in a distinct, contemporary style. 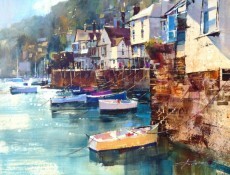 His landscapes often explore the juxtaposition of the man-made with the organic; buildings by the waterside, structure emerging from a rocky cliff. 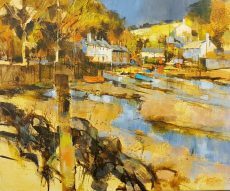 He uses layers of texture and dry brushed-through colour which allow complementary hues to glow through. 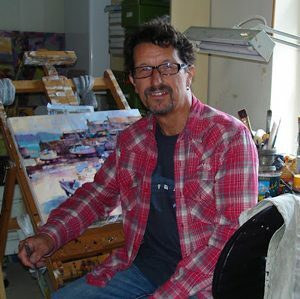 We love his work because it blends traditional subjects with a thoroughly modern and fresh approach to painting. 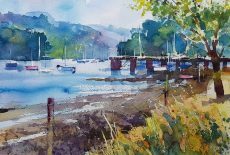 A much sought-after artist, Chris has shown with the RSW and the Royal Institute of Painters in Watercolour, of which he is a member. 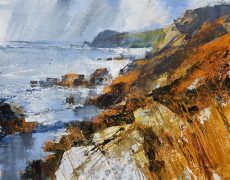 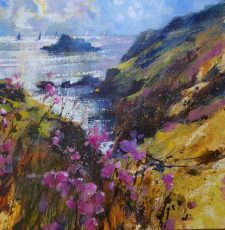 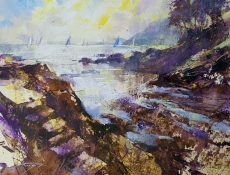 We show new paintings from Chris all year around as part of our mixed gallery collection. 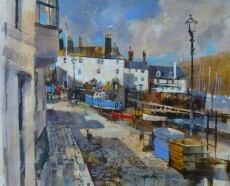 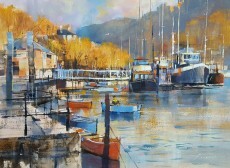 Our next solo show with Chris is at Easter 2020 when we will be filling the Lower Gallery with a wonderful collection. 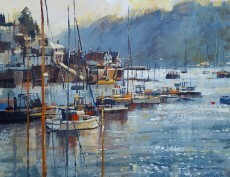 New paintings will be arriving at the gallery all year around also. 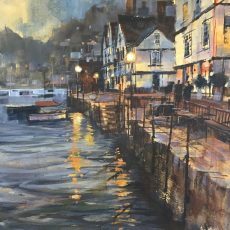 Join our mailing list using the link below for all our latest news.